February 20, 2015 Manhattan1881, 33 E 17th Street, commercial, historic, J. William Schickel, landmark, Manhattan, midtown, New York City, Queen Anne. 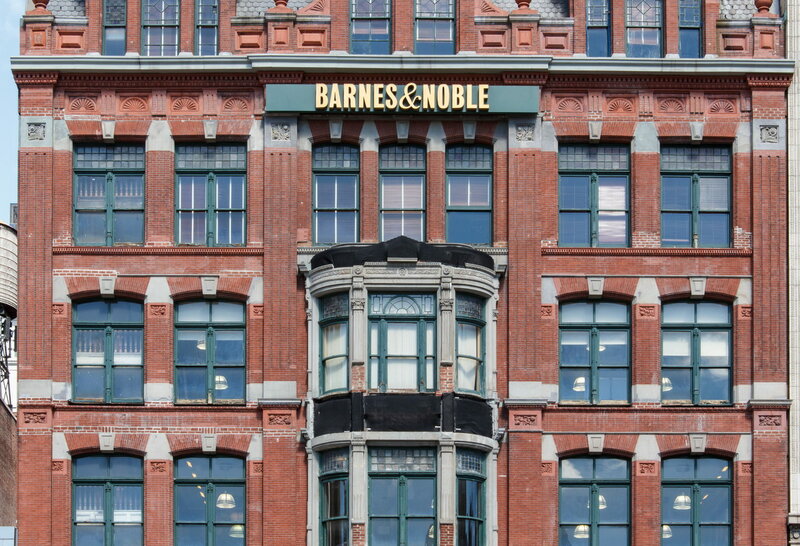 Century Building, since 1995 a Barnes & Noble store, was also associated with publishing when it was built in 1881. 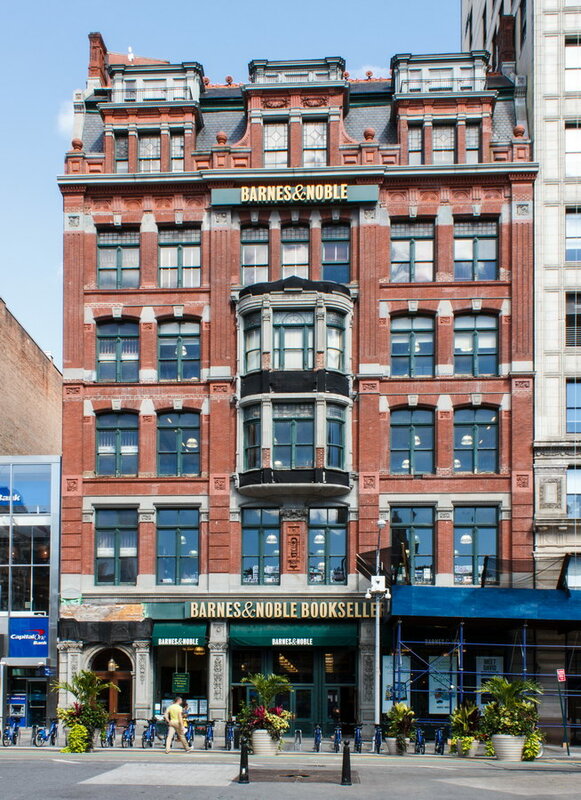 Century Publishing Company leased the fifth floor and hung its sign outside – which led to the name. Retailer Aaron Arnold (Arnold Constable Department Store) built the landmark as a speculative venture – no prime tenant was signed. 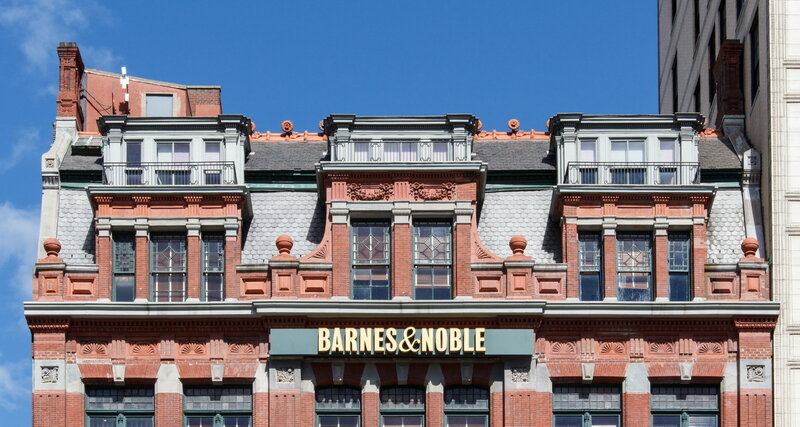 The NYC Landmarks Preservation Commission cited the structure as “a rare surviving Queen Anne style commercial building.” The Century Building was vacant at the time that the Commission designated it a New York City landmark. 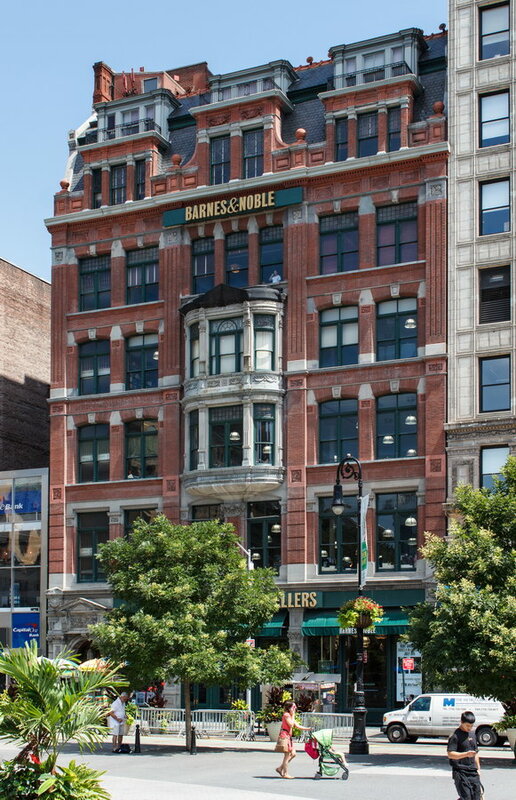 Barnes & Noble took it over in 1995, according to Daytonian in Manhattan. The two-story oriel windows and gambrel roof are quite picturesque from Union Square Park. 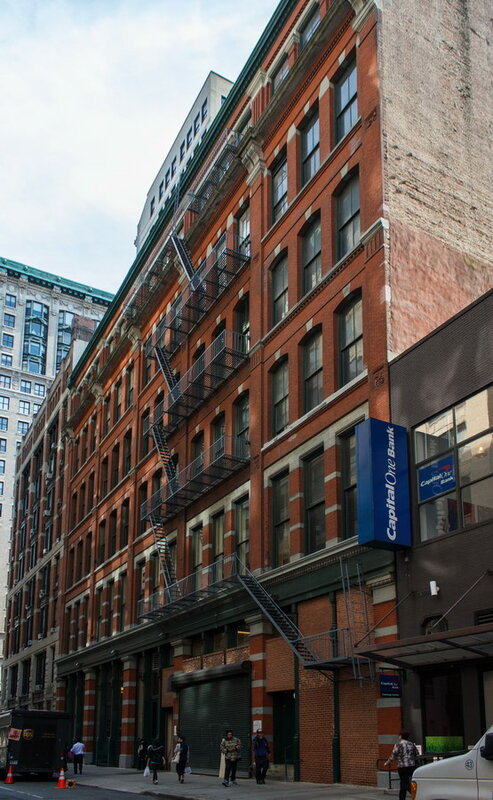 Although the Century Building extends through to E 18th Street, that facade is relatively plain.